As an industry, BSEF has increased its environmental performance under the tenets of Responsible Care®, a global voluntary commitment to the safe and environmentally sound management of chemicals worldwide. By defining and pursuing common goals throughout the supply chain, the chemical industry believes it can be helpful at all levels. No company operates in isolation. All parties involved in the production, handling, use and disposal of chemicals have a shared responsibility to ensure their safe management and use. In 2004 BSEF launched the Voluntary Emissions Control Action programme (VECAP), a product stewardship programme under the Responsible Care Initiative. The aim of the programme is to reduce potential emissions of brominated flame retardants (BFRs) by promoting environmental best practices throughout the value chain. 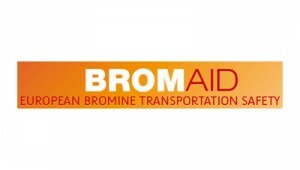 BROMAID is a consortium among European bromine companies that provides mutual aid in the event of an emergency and improves product stewardship practices to maximize bromine safety in transport and use. BROMAID complements national and international chemical industry emergency response schemes.